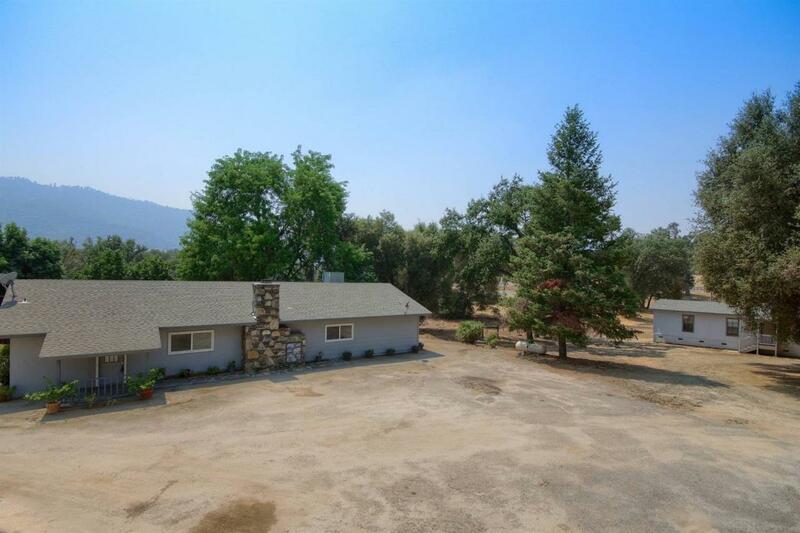 2 homes on 1.1+/- acres! The main home was remodeled down to the studs in 2006 with new electrical, plumbing, kitchen & an additional bathroom was added making this a 4 bedroom, 3 bath home! New carpet & new paint was just completed in August, 2018 to an already well maintained home! There is a 2nd residence that currently provides rental income. The 2nd residence is a 1988 Champion home with 3 bedrooms & 2 baths & was also freshly painted! The main home has an awesome view, an open floor plan & a huge custom kitchen with Granite style island that provides plenty of informal kitchen seating. Wait until you see the beautiful double rock fireplace with plenty of wood storage to keep you warm & toasty on chilly nights. These homes have so much to offer including a patio, garden area, recessed lighting, Mullen windows, walk-in closet, fenced back yard & a location for commuting! The 2nd residence would make a wonderful mother-in-law quarters or a rental! Come & see these great homes today!